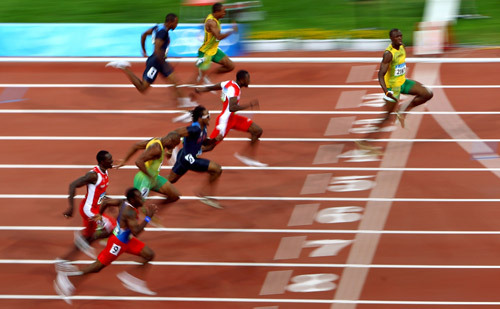 It is a simple process to keep your Connecticut real estate license active. The purpose of this article is to simplify the Connecticut real estate license renewal process for CT real estate agents and brokers. Below are the requirements that are the same for both CT real estate agents and brokers. There is one Mandatory course to be completed during each biennial (every 2 year) renewal period. Late Fee: $28.50 if renewal fee is not received by May 31st. Renewal notices are emailed and mailed to all active Connecticut real estate salespersons approximately 30–45 days prior to March 31st. Renewal Fee: $375 (odd year) $383 (even year) Late Fee: $37.50 if renewal fee is not received by March 31st. Renewal notices will be emailed and mailed to all active Connecticut real estate salespersons approximately 30–45 days prior to March 31st. A new Connecticut real estate license is sent out within 5–10 business days of the state receiving the renewal form and payment. Can I file my real estate license renewal form online? Yes, the renewal form and payment can be submitted online by clicking here. 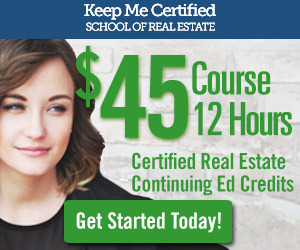 Keep Me Certified is a Connecticut licensed real estate school, approved to offer the required and elective continuing education credits to licensed real estate professionals. To learn more or start a course, visit us at keepmecertified.com.